We’ve taken data about the UK population and the nation’s smoking rates, projecting them forward to understand what the impact of smoking would be if current trends continue. And it makes for worrying reading. “That said, there are significant risks involved with tomosynthesis and ultrasound techniques that must be considered, particularly around false positives, as well as the cost, resource and training that would be required." Samia al Qadhi, chief executive of Breast Cancer Care, said: “These exciting findings confirm that 3D mammography has the potential to change the future of breast screening." The gene, called CYP3A7, is normally active only in infancy, but in some people it continues to be switched on into adulthood and over-activates their metabolism. The researchers hope the trial results will contribute to changes in clinical practice worldwide. They also expect side effects to continue to be lower for women in the partial breast radiotherapy group after ten years, compared with those given the full dose of radiotherapy to the whole breast. 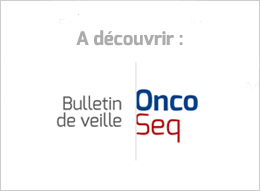 In this study patients aged ≥18 years with inoperable locally advanced or metastatic urothelial carcinoma whose disease had progressed after previous platinum-based chemotherapy were enrolled from 70 major academic medical centres and community oncology practices in Europe and North America. The treatment, pidilizumab, was on the verge of a Phase II trial in patients with diffuse large B-cell lymphoma when the FDA placed a partial clinical hold on development last month. Medivation said it has since revised all study protocols to note that pidilizumab is not a PD-1 blocker, updating consent documents to ensure patients know what they're getting. Stockholm-based Aprea AB is looking to add staffers on the East Coast in the U.S. after gaining an extra $51 million to spend as it ramps up mid-stage development work on its p53 drug APR-246 in ovarian cancer. The US and New Zealand are the only countries where drug makers are allowed to market prescription drugs directly to consumers. Increasingly, critics are expressing concern that expenditures on advertising drive up the price of drugs. MedNexus differs from other health-oriented websites by the way it offers, rather than provides, information. Essentially, it’s a unique search engine that ranks lay and professional medical resources based on reliability and clinical relevance. In contrast to the trends for most other cancers among both men and women, death rates due to liver cancer have increased the most compared with all cancer sites, and liver cancer incidence rates have also increased sharply. So, will the kids who lived near the Fukishima plant suffer more thyroid cancer than their peers elsewhere? Well, yes. Probably. They are going to be screened more than most other kids, after all, and those screenings will turn up more thyroid cancer, just by virtue of the fact that people are looking for it. A Senate package of biomedical innovation bills got bogged down in a partisan fight Wednesday over funding for the National Institutes of Health, foreshadowing more trouble ahead that could threaten the effort to accelerate the search for medical cures.